Vertical multistage stainless steel high efficient pump. The widest range in the market. 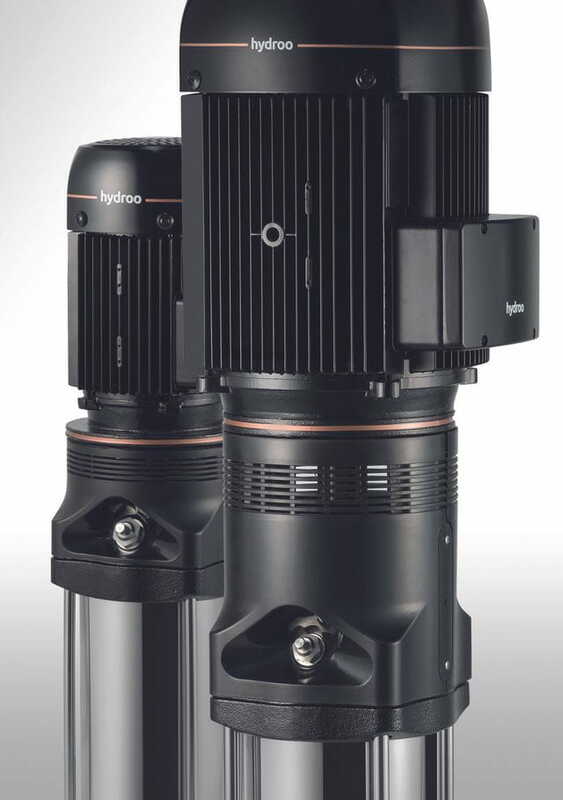 VDROO is a kind of vertical high efficient non-self priming multistage centrifugal pump, which is driven by a standard electric motor. The motor output shaft directly connects with the pump shaft through a coupling. The pressure-resistant cylinder and flow passage components are fixed between pump head and inlet&outlet section with stay bolts. The inlet and outlet are located at the pump bottom at the same plane. This kind of pump can be equipped with an intelligent protector to effectively prevent it from dry-running, out-of-phase and overload. VDROO is a kind of multifunctional products. It can be used to convey various medium from tap water to industrial liquid at different temperature and with different flow rate and pressure. VF type is applicable to conveying non-corrosive liquid, while VX and VN are suitable for slightly corrosive liquid. Water supply: Water filter and transport in waterworks boosting of main pipeline, boosting in high-rise buildings. Industrial boosting: process flow water system, cleaning system, high-pressure washing system, fire fighting system. Industrial liquid conveying: Cooling and air-conditioning system, machine-associated purpose, acids and alkali. Water treatment: Ultra filtration system, reverse osmosis system distillation system, separator, swimming pool. Irrigation: Farmland irrigation, spray irrigation, dripping irrigation.